Brick and mortar is the common term used to reference a retailer or business that operates a minimum of one physical location. It references the material used to construct a physical location, although, of course, not all physical locations are actually built using bricks and mortar. The term “brick and mortar,” as indicated above, primarily refers to retail shops or other businesses that maintain physical locations for selling goodsConsumer ProductsConsumer products, also referred to as final goods, are products that are bought by individuals or households for personal use. In other words, consumer and services. It can also refer to companies that own warehouses, factories, or other spaces for operating and storing goods. The commonplace usage of the term came about with the introduction of the internet and the presence of retailers that exist purely online. Some companies operate entirely online and offer no face-to-face experience and/or without a physical store or location of any kind. 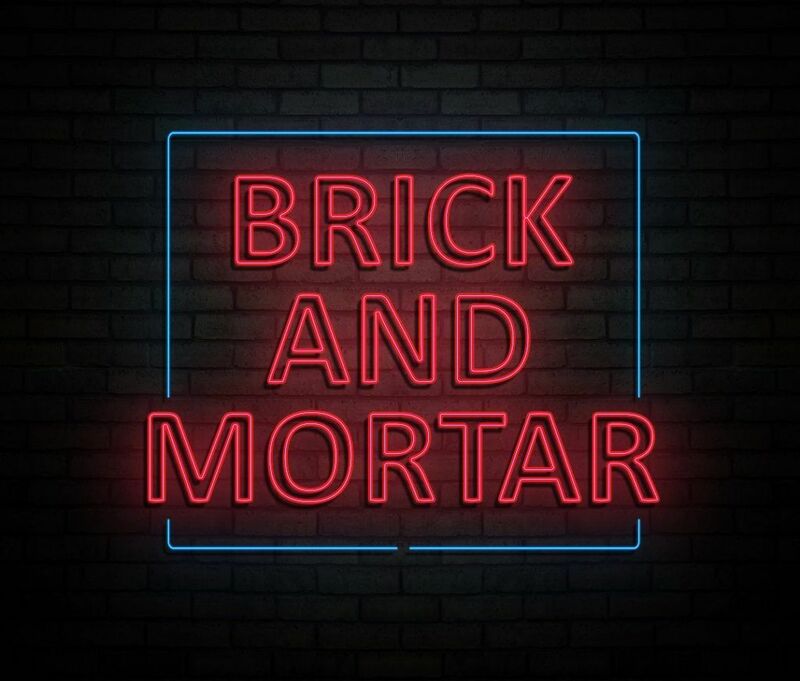 In order to distinguish them from businesses that operate solely online, the phrase “brick and mortar” began to be used to refer to companies that operate physical retail and/or office locations. Both online retailersIntroduction to E-commerceE-commerce refers to commercial transactions of goods or services conducted over the internet. Over the past several years, e-commerce has rapidly evolved to become a combination of online and offline retail, which is vertically integrated. E-commerce companies sell various products and services. Intro Guide and brick and mortar stores face obstacles when it comes to doing business. Each type of business faces its own challenges. Online retailers must be certain that their website is attractive, well-functioning, and user-friendly. They also must provide ways for customers to get in contact with the company regarding customer service-related issues. Brick and mortar stores, on the other hand, must attract customers in a much more physical way. The stores’ window displays and advertisementsAIDA ModelThe AIDA model, which stands for Attention, Interest, Desire, and Action model, is an advertising effect model that identifies the stages that an individual goes during the process of purchasing a product or service. The AIDA model is commonly used in digital marketing, sales strategies, and public relations campaigns. must be catchy. They also must be concerned about being located in a place where foot traffic is high – or at least someplace convenient for their ideal customers to get to – making it easier to draw in potential buyers. They also incur overhead expenses, such as rent and electricity, that purely online businesses can avoid. Online retailers often find an easier time attracting customers because it takes less effort and time to draw them in. Online sales continue to grow over the years because customers can shop from the convenience of their homes, 24 hours a day. Brick and mortar stores must employ more tricks in order to entice customers to leave their homes and come and shop in a physical store. The reality is that technology and the internet are also vital to the success of brick and mortar stores in today’s world. Stores that offer the latest in technology-based payment systemsVenmoVenmo is a peer-to-peer digital payment service that allows people to send and receive money instantly. It started as a payment system through text message, capitalizing on the opportunity to use its platform as a social network where friends and family can connect., ordering options, and websites are the ones that bring in the most business. Consumers are constantly looking for easier and faster ways to shop and purchase the things they want and need. Brick and mortar stores, while not as necessary as they once were, are still thriving. While online retail stores seem to be taking over, many companies are embracing the changing times and now operate with both online and brick and mortar options. Just as many brick and mortar stores are starting to create an online presence, a number of previously “internet only” businesses – including Amazon and bedding company Boll and Branch – are expanding their operations to include a brick and mortar presence in “the real world.” The retailers’ combined presence gives customers the convenience of online shopping and also the opportunity to engage in face-to-face interaction with the business.